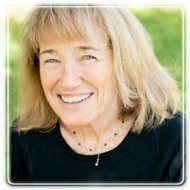 Costa Mesa Therapist: Nancy D Young - Therapist 92626. For nearly 30 years, I've specialized in therapy with individuals, couples, and groups, and, for 20 years, I was an Adjunct Professor at Chapman University, teaching: Intro to Psychology, Interpersonal Attraction & Romantic Love, Human Sexuality, Sexual Disorders & Treatment, Chemical Dependency Treatment, and other general psychology classes. My academic research interests were on romantic love — the differences between intense/compelling and secure/comfortable love experiences, on behavioral self-reliance in women, and on the use of videotaped therapy in chemical dependency treatment. I am certified in EMDR and in Gottman Couple’s Therapy and as an Art & Science of Love (Gottman) Workshop Leader and as a Gottman Method Level I Teacher. I use a holistic/transpersonal approach. Past workshops have included: Gottman Method Couples Therapy--An introduction, Romantic Relationships--A Traveler’s Guide, Women & Sexuality, Kindly Assertive Communication Skills--Setting boundaries with grace and softened startup, Meet Your Selves--Voice dialogue, aware ego, & psychology of selves, Psychology of Selves in Transition--Standing at the crossroads. I specialize in a variety of therapeutic methods, including cognitive-behavioral, Voice Dialogue, EMDR, and Gottman Method couple's therapy. I've also received training in Imago and Emotion-focused approaches. Since the work of therapy, itself, can seem pretty daunting, I prefer to work in more casual (than formal) surroundings. My office resembles a comfortable living room/library and my two, allergy-friendly, standard, chocolate Labradoodles come to work with me every day. Because I love teaching and mentoring and working with others, I currently supervise a Marriage & Family Therapy Intern and a Social Work Intern. In addition, my practice includes a friend who is also a Clinical Psychologist and who supervises an additional Social Work Intern.